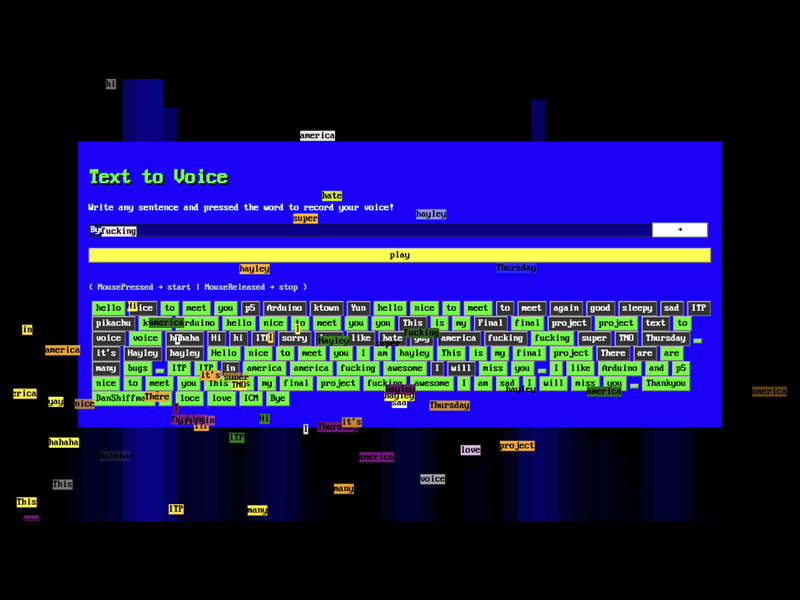 Last semester I did ‘Text to Voice’ project is basically a web application like a ‘Text to Speech’ function using people’s voices. 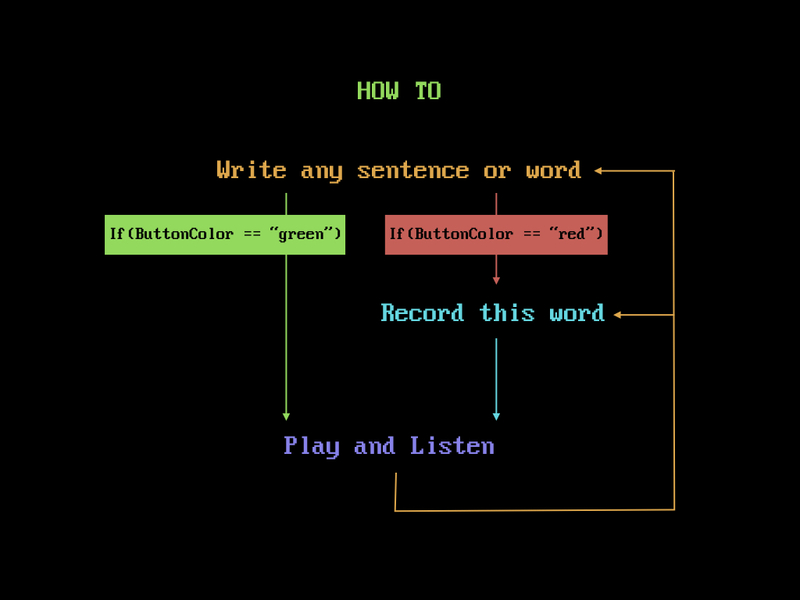 When users can write any word and generate each word button. Then they can play it using already existing the word sound file and read one by one. Or they can record again or make new sound files by themselves. I could not make this program for running on the server. So I ran it locally with my local server and folder. I would like to publish this site with Node.js. Therefore, basically, I need to a database that can save the voice file from users. I will start to build this application on my real server with Node.js. The main effect of the Panopticon is to give the feeling that someone is constantly being watched. Bentham made it for effective facilities for the surveillance. I thought the concept of it was very interesting because it reminds of our recent social media culture like Facebook or Instagram. When people upload some their news or photos actually they already expect that someone will watch them and be judged by those. So lots of people try to show the only good aspects of their life. For example, I downloaded a diary app to log my daily life and thought of the day. But I could not write it comfortably because I worried someone might watch this. Also, some people wrote some jokes or bluffs for fun, but they are caught by police people who were actually watching the social media. These kinds of news make us have the feeling as Panopticon. The modern people are already used to being watching someone and know well how to show themselves to the unknown people. Not escaping from the surveillance, some of the people enjoy engaging attract the attention.